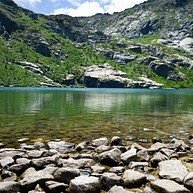 The small Mediterranean island of Corsica encompasses a bewildering diversity of landscapes, experiences and delicacies. 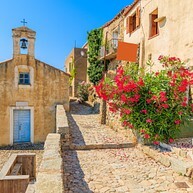 Though its southern counterpart often steals the spotlight, the region of Upper Corsica lacks for nothing in terms of entertainment, character and natural beauty, and savvy travellers would do well not to ignore its unmistakable allure, from the peak of Monte Cinto to the island's numerous picture perfect coastal and hilltop villages. Upper Corsica's appeal is undeniable and multifaceted. 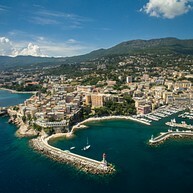 Explore the region's vast untamed natural wonders for a taste of adventure, find respite as you wander through coastal villages or relax on tranquil beaches, or enjoy the laid-back but cosmopolitan vibe of Bastia for fine dining and nightlife. Corsica's second city is its main commercial port and one of the island's hubs in terms of attractions, dining and entertainment, and boasts an air of authenticity more striking than the island's other cities. The Vieux Port ('Old Port') is a must-see, as are the historical neighbourhoods of Terra Vecchia and Terra Nova, with its Genoese citadel. The striking town of Calvi is dominated by the imposing citadel, which towers over the town from atop a hill by the sea. Its fortifications and surrounding wall enclose also some old houses and a 13th century cathedral. The town's marina has numerous pleasant cafes and restaurants, while the 6 kilometres of sandy beaches attract sun-seekers from around the island. Covering over 40% of the island's territory, the Corsica Regional Natural Park encompasses a massive area and countless natural wonders, from lush forests to mountain massifs, impressive gorges to mountain lakes, and more. 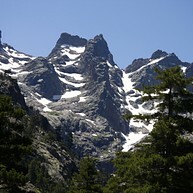 The GR20, a famous hiking trail, also crosses the park and is one of its biggest draws. Sant'Antonino is one of the oldest villages in Corsica, its origins dating back to the 9th century. Sitting atop a pleasant hill, with beautiful views of the surrounding countryside and nearby coast, it is one of the island's most picturesque villages, known also for its excellent craft shops. Corte is at the very heart of Corsica, both geographically and politically, as it was the capital of an independent Corsica during its brief existence as a sovereign nation (1755-1769). The town retains its air of grandeur from those days, with the National Palace and an impressive 15th-century church as the centrepieces. Corsica Cape (Cap Corse) is a beautiful 40-kilometre peninsula that juts out from the northern tip of the island. It is also a mountain range that gives the area striking scenery as the mountains plunge into the sea. 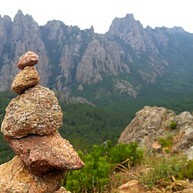 It is a favourite area for hiking and photography, and one of the most beautiful areas of Corsica. Located on beautiful Corsica Cape, the picturesque village of Nonza hangs over the sea on a striking cliff. The town's historic buildings are incredibly well preserved, and the views of the ocean and the surrounding mountainous countryside are simply breath-taking. 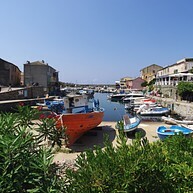 Another idyllic Corsican village located on Cap Corse, just north of Bastia, Erbalunga was once an important fishing port. Today it is more of a lazy seaside town, with a relaxed pace and easygoing inhabitants. The town's beautiful houses are grouped together on a tiny rocky peninsula, crowned by an old Genoese tower. 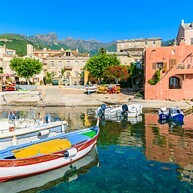 Centuri is a peaceful little fishing town located at the northern tip of Corsica, famous for its pleasant marina and port, which boast many lovely restaurants and cafes that become quite animated at lunchtime. Not far from Centuri are a number of small beaches that are well worth exploring, as well. The Restonica river runs through the central town of Corte, and flows towards a series of mesmerising gorges just to the southwest. Hiking, swimming and climbing are popular activities in the area, all along the 15 kilometres the gorges stretch. Standing tall at 2,700 metres, Monte Cinto, also known as the "roof of Corsica", is the tallest mountain on the island. Though sweeping panoramic views can be enjoyed from its peak, it is a challenging climb that should only be attempted by experienced climbers.